Made from Solid Oak and Veneer with a perfect thin edge with stepped mitre detailing and push and pull openings. Finished in Latte Oak, Petrol Blue &/or Light Grey. All natural and coloured oak finishes have a 5% protective Lacquer layer. Painted finishes feature painted drawer bottoms and latte oak interiors. 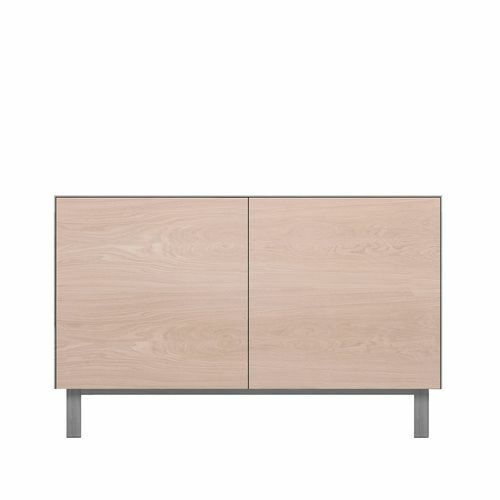 *Cupboard shelves may either be made of 4mm toughened glass or oak veneer finished in Latte oak. Please specify on ordering. Default: oak veneer shelves.